Go Hydrology! : Is "sea weeding" the next big thing? Is "sea weeding" the next big thing? Remember the old days you used to go shelling on the beach? 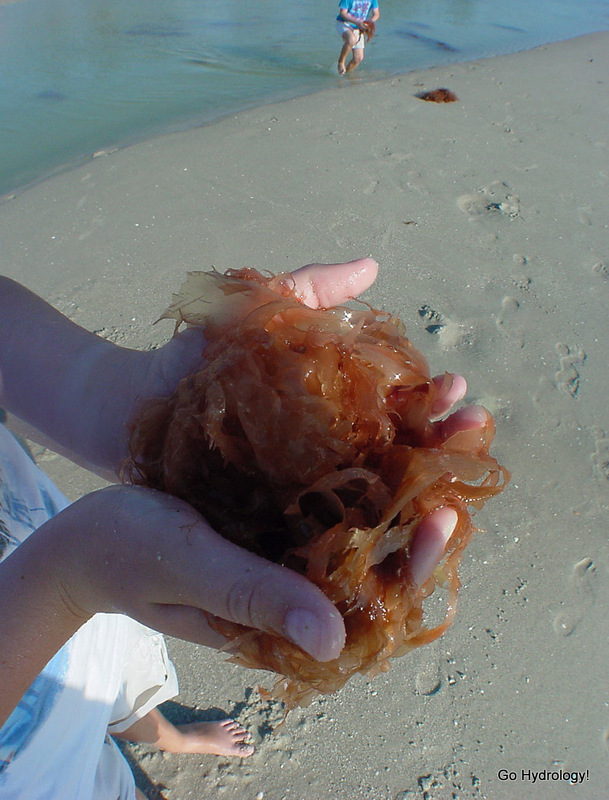 The younger generation is much more into "sea weeding." their find at the beach. You can also stand on a big pile of it with bare feet. What you can't do is "listen to the ocean"
when you put it up to your ear. Bridgeport Aquaculture School does seaweed growing...! You mean no one takes it home and makes a pot of seaweed soup? No beach for us this weekend. Lots of rain though. Guess I'll have to settle for garden veggie soup instead. I wonder what seaweed soup would taste like. Looks like almost as much fun as collecting shells. Any reason to explore the beach is fun. It's been pretty sparse so far this year. Some summers we have big blooms.